The American Legion Post GR45 is proud to announce its High School Oratorical Scholarship Contest scheduled for Sun, Feb. 12, 2017 at Vilseck High School. The contest has two speeches, with the first being an eight to 10-minute prepared speech, followed by a three- to five-minute assigned speech. 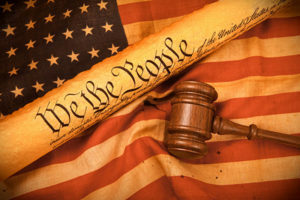 Speaking subjects must be on the some aspect of the U.S. Constitution, with some emphasis on the duties and obligations of citizens to our government. The Oratorical Contest presents participants with an academic speaking challenge that teaches important leadership qualities, the history of our nation’s laws, the ability to think and speak clearly, and an understanding of the duties, responsibilities, rights and privileges of American citizenship. Young orators earn some of the most generous college scholarships available to high school students. Over $138,000 in scholarships can be awarded each year. The overall national contest winner gets an $18,000 scholarship, second place takes home $16,000, and third gets $14,000. Competition begins at the post-level and advances to a department competition. Legion department representatives certify one winner to the national contest, where department winners compete against each other in two speaking rounds. The contest caps off with a final round that decides the three top finishers. A panel of judges will determine the first, second and third place winners. To register, contact the American Legion at fr.oratorical.contest@gmail.com or visit the Oratorical Contest webpage.